Has the garage floor in your commercial property seen better days? 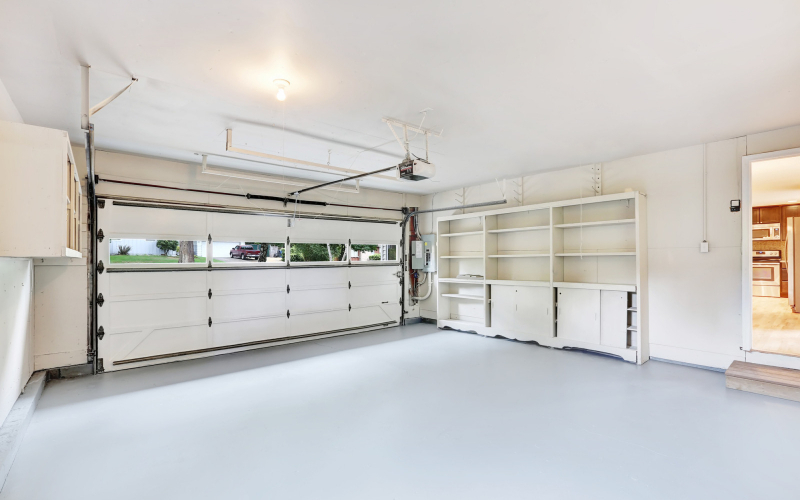 If you use your garage on a regular basis, then your garage floor is likely subjected to staining, chemical spills, moisture, and other forms of wear and tear. It can take a toll on your garage floor and make it look unsightly over time. Fortunately, one easy way to bring your garage floor back to life while also making it more durable in the process is to install a garage floor coating. By applying the best garage floor coating, you can protect your garage floor for many years to come. It's important to consider your options before choosing a garage floor coating. From simple floor paint to a multi-layer epoxy coating, you will have your fair share of options. Here are some tips that will help you choose the best garage floor coating. The first thing you want to do before you start searching around for the best garage floor coating is come up with a budget for your project. It'll allow you to narrow down your search quickly as you rule out certain types of garage floor coatings. If you don't want to spend a lot of money covering your garage floors, you can choose something like a garage floor paint that will brighten up the floor without providing it with a ton of protection. If you have a little bit more money to play with and you need more durability from your garage floor coating, a more advanced epoxy coating system might be right for you. It really all depends on how big your budget is. Once you have your budget in place, you should sit down and create a list of the things your garage floor will be exposed to moving forward. It will shed some light on how much protection your floor actually needs. Let's say you run an auto repair shop, for example. Your garage floor could be exposed to oil, coolant, gasoline, and so many other things. As a result, you'll likely need to invest in the best garage floor coating for your specific situation. You should also consider the temperature inside your garage when choosing a garage floor coating. A simple paint job might not hold up well if your garage is going to be hot and humid all the time. An epoxy coating, on the other hand, will be up for the challenge and won't show signs of wear for a long time, even when exposed to extreme temperatures. In order to apply a new garage floor coating, you will likely need to close your business for a brief period of time. The type of garage floor coating you go with will ultimately determine how long you'll need to shut down your operation. If you're just going to paint the floor, you might not need a whole lot of time to do it. However, if you're going to apply an epoxy floor coating, the prep time involved with it in addition to the application time can be extensive. You may even need to put down several layers before it's completely finished. You want to consider the amount of time you have to apply your garage floor coating before you get started. At the same time, you also want to consider the fact that a multi-layer epoxy system will last longer and won't need to be replaced nearly as often as simple paint. By thinking hard about how long each application process will take, you can choose the best option for your business. Outside of protecting your garage floor from different things, your garage floor coating is also going to change the way it looks to you and your employees. That means you should spend some time considering what exactly you want the floor to look like. Is your only requirement that your floor is bright red to match the color scheme of the rest of your business? You can accomplish that with a latex or oil-based paint. Do you want your floor to shine and look glossy all the time? That will require the use of an epoxy system that will make your garage floor look like new. Either way, you want to make sure your garage floor gives off the right appearance when your coating is applied. You should picture what you want your garage floor to look like and then strive to use whatever coating you need to in order to reach your goal. If you plan on having customers come into your garage at all, you should take steps to ensure that the floor gives off the right impression. The last thing you want to do is have customers think your business is dirty or poorly maintained due to a filthy garage floor. Those businesses that have customers in and out of their garages usually opt for an epoxy system that repels stains and prevents them from setting in. You want your customers to think highly of your business when they visit your commercial property. They will when you have the right garage floor coating in place. There are some businesses that will attempt to save a few bucks by DIYing their garage floor coating application. You might be thinking about doing it yourself if your garage floor needs TLC at the moment. Once you've picked out a garage floor coating, you can try to do the application on your own. But a lot of the best garage floor coatings, like epoxy systems, can be difficult to manage. And if you don't do the coating properly, you won't enjoy the benefits that come along with it. After you pick out the best garage floor coating, you should call on the right contractor to put it down for you. By working with a reputable contractor, you'll enjoy the experience of putting a new garage floor coating down and love the finished product. By choosing the best garage floor coating, you'll make your business look its best. You'll also keep it safe for your employees and avoid having to put down a new coating anytime soon. A new epoxy floor coating will put your commercial property over the top. You'll really like the way an epoxy coating performs for you and your business. Check out our blog for additional information about epoxy floor coatings.